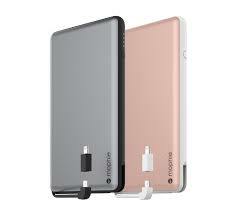 avatecc accessories 6 Most Powerful Power Bank in the Market Today !! 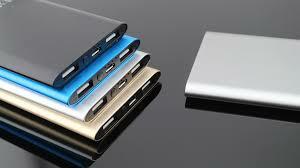 6 Most Powerful Power Bank in the Market Today !! 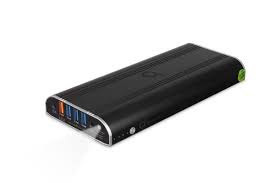 6 Most Powerful Power Bank !! Lately Mobile Gadgets have really gained popularity among people from all walks of life around the globe, this has led to an increase in demand for an alternative power source, the reason being that these devices most times are not equipped with a default power source that can go for as long as its user wants it to run without interruption. 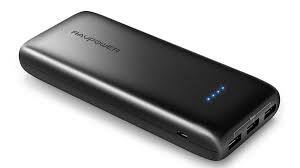 To make provision for this deficiency there’s a whole new industry that has emerged to provide alternative power source for consumer electronics, many manufacturers have come up with different product each promising to be better than the other, nevertheless these power banks are life saver especially here in Africa were power is a major setback , actually in this article I will take my time to introduce and give you a brief specification of the best mini power banks In the market, so all you need to do is make your choice and hit any store to pay for it. 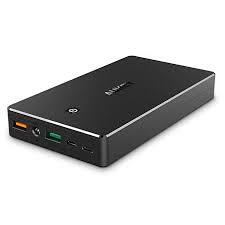 Hint : Power banks are rated base on size and capacity, below are some of the best alternative mobile power source you can get for your device. Mophie PowerStation is a brand that offers external batteries and other power accessories that let you recharge from anywhere, the company offers a different kind of power alternative for tablets and other devices, we are specifically concerned with the best for you as such we will pinpoint one of their devices for you, it’s the Mophie PowerStation Plus XL, it’s really a plus as it offers 12000mAh power rating which delivers 48 hours of additional talk time, in addition, you can charge more than one device at a time as fast as you desire with its quick charge advance function. This guy is the boss, 35, 000mAh is quite a specification, You can cross the Sahara desert with this on a single full charge, that is not all, this power bank comes with four USB port, so it’s a family size power station, despite this enormous power capacity this accessory is designed to fit in your pocket, it offers the option to adjust the voltage from DC12v to 15v and vice versa to match your surface pro voltage before charging. 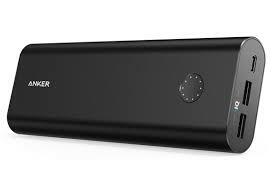 Anker offers the Powercore 20100 as one of its USB accessories, this portable powers bank is unique in that it offers PowerIQ and Voltage boost fast charging technology in one product, the device generates a 4.8A output, it also comes with an advanced safety feature to keep you and your device safe. Aukey is yet another power Bank manufacturer, their website features lots of power bank specification I’m only going to introduce you to their 20,000 mAh capacity power bank. It’s designed to fit into your pocket, this power bank comes with a lightning connector, multiple USB output port which supports 5V, 9V and 12V for multiple device charge. iMuto 30,000mAh is a portable external power source, it’s packed with a whole lot of ports to meet your power need, you actually don’t need a manual to fiddle it as it features a sleek designed with lots of technical efficiency like led digital display ,smart charger for iphones, automatic voltage adjusting technology to sooth your device charging requirement. 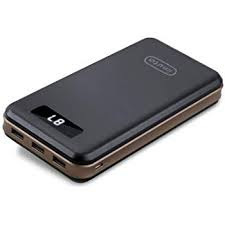 Having owned a 22,000mAh capacity power bank as your backup power source you are safe to visit Nigeria “lol” jokes apart this power bank is well packed to make you forget electricity for as long as it has charge, the device is made portable for your convenience, it features assorted USB port, Quick Charge technology, a lightning connector for iPhone and adaptive charging capability. These are our recommendation, for now, hopefully as time goes by we will add more products to the list.